Pipper and her pals love to party. This swordfish tortilla is terrific for any kind of celebration. Hilda thinks it’s a thrill to make your own. She loves choosing from all the topping ingredients and plopping on her favorite salsa. Sidney says, “Go for it, then you’ll be ready to rock and roll!” Chance says you should make the salsa ahead so you won’t be rushing around at the last minute. Pipper wishes you lots of fun cooking up this fun dish with your favorite kids. In a large skillet over medium high heat, add olive oil to coat the pan. Place the fillets in pan and cook for 7 minutes. Gently flip and continue cooking for another 5 minutes or until cooked through. Remove filets to a serving platter and dowse with lime juice. Heat tortillas in oven for 5 minutes or to preferred warmed or toasted texture (to keep them soft, wrap in foil). 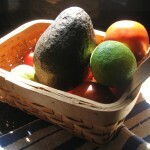 Remove to tortilla warmer or wrap in cloth napkin or towel to keep warm. Slice fish or break into large chunks. 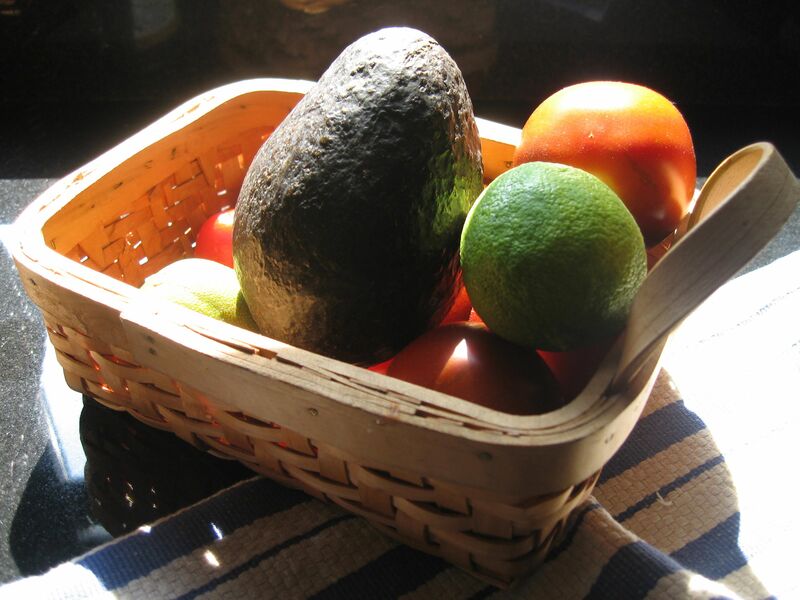 Place on tortilla and top with garnish choices. Roll up and enjoy! In a medium mixing bowl, combine all ingredients. In a medium sized mixing bowl, combine all ingredients. Can you add to Pipper’s list of garnishes with some of your own? Please share in our comments. 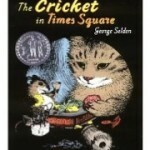 Sophies’s second favorite book that takes place in New York City, after From the Mixed Up Files of Mrs. 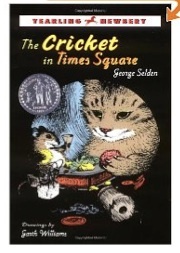 Basil E. Frankweiler—which takes place in the Metropolitan Museum of Art, is The Cricket in Times Square by George Selden and Garth Williams (illustrator). You can figure out where that one takes place! She tells Mitzi all about her book selections, and she borrowed it from the library and loved it too. Read Amazon’s blurb here. One night, the sounds of New York City—the rumbling of subway trains, thrumming of automobile tires, hooting of horns, howling of brakes, and the babbling of voices is interrupted by a sound that even Tucker Mouse, a jaded inhabitant of Times Square, has never heard before. Mario, the son of Mama and Papa Bellini, proprietors of the subway station newsstand, had only heard the sound once. What was this new, strangely musical chirping? None other than the mellifluous leg-rubbing of the somewhat disoriented Chester Cricket from Connecticut. Attracted by the irresistible smell of liverwurst, Chester had foolishly jumped into the picnic basket of some unsuspecting New Yorkers on a junket to the country. Despite the insect’s wurst intentions he ends up in a pile of dirt in Times Square. Mario is elated to find Chester. He begs his parents to let him keep the shiny insect in the newsstand, assuring his bug-fearing mother than crickets are harmless, maybe even good luck. What ensues is an altogether captivating spin on thr city mouse/country mouse story, as Chester adjusts to the bustle of the big city. Despite the cricket’s comfortable matchbox bed (with Kleenex sheets); the fancy, seven-tiered pagoda cricket cage from Sai Fong’s novelty shop; tasty mulberry leaves; the jolly company of Tucker Mouse and Harry Cat; and even his new-found fame as “the most famous musician in New York City,” Chester begins to miss his peaceful life in the Connecticut countryside. The Cricket in Times Square—a Newbery Award runner-up in 1961—is charmingly illustrated by the well-loved Garth Williams, and the tiniest details of this elegantly spun, vividly told, surprisingly suspenseful tale will stick with children for years and years. Make sure this classic sits on the shelf of your favorite child, right next to The Wind in the Willow (ages 9 to 12). …And Sophie adds, next to Pipper’s Secret Ingredient! Can you recommend a children’s book that takes place in New York City? Please share your book selections in our comments. Pipper is a world traveler and has plenty of travel recommendations for those of her friends who need them. She’s met lots of interesting characters and experienced some amazing places. She’s traveled by plane, by train, by bike and even by camel. Now she’s looking to kick back with her pals and put her paws up. She loves to swim and play a game of fetch. Pipper discovered Kim Salerno, another blogger whose website, Trips With Pets, has all sorts of tips and information. 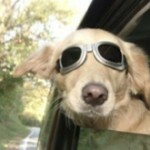 There’s everything from lists of pet-friendly hotels to trip planners and even a Pet Travel Club. Check it out on their website. But come back here and read our next Dog Stuff installment. 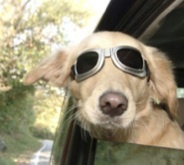 Do you have any recommendations for a great getaway location for our four-legged friend? Please go to our comments and share. Pipper is the food adventure expert. Here’s another suggestion she wants to share with you. There are corn mazes all over the U.S. You can visit during the day or at night. 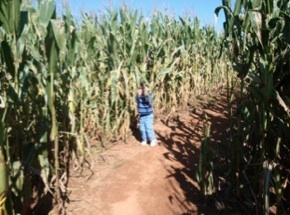 Corn that grows 8 or 9 feet tall in good weather creates a thick, impenetrable maze. The farmer uses a tractor equipped with GPS to cut a pattern of paths into the field. The pattern is usually only visible from the air, but on the ground it is a great maze. A maze can take anywhere from 20 minutes to an hour to find your way out. Help is usually available, if needed, and there are often signs with puzzles to solve or clues to help. Nighttime mazes are the same as daytime ones, but at night you need to use a flashlight! It can be a scary but fun experience. Very popular with teenagers! 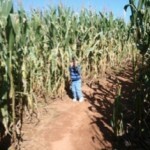 To find a corn maze near you, visit this website. Are there other types of mazes you can recommend to Pipper’s fans? Tell us about it in the comments. Pipper read somewhere—but she’s been so busy she can’t remember where—that peanut butter does not contain hydrogenated oil or sugar. 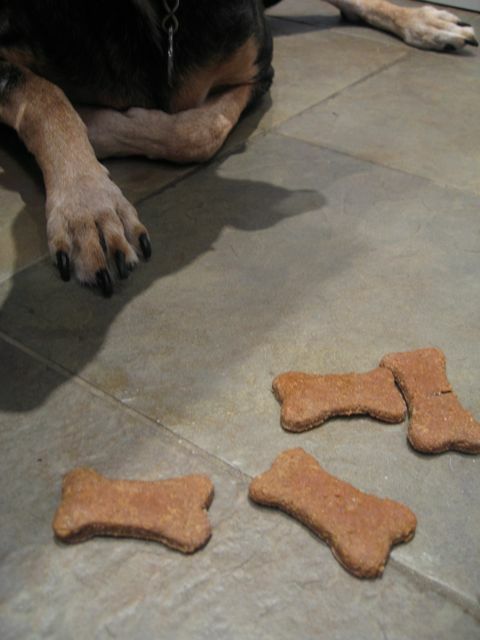 So these dog treats are more healthful than many other kinds that have fatty oils or sugar (like Bogus Biscuits). Maybe having an extra one of these Peanut Butter Wonderbars wouldn’t be over-the-top! Grease cookie sheets or line with parchment paper. In a small food process, combine the peanuts and oil. Grind until smooth. Set aside. In a large bowl, combine flour and baking powder. In another bowl, combine the peanut butter and milk. In the bowl of a KitchenAid or food processor, add the milk and peanut butter mixture to the dry ingredients and mix well until forming a ball. But don’t overwork. On a floured surface, roll out to 1/4″ thick. Cut out using cookie cutters. Bake for 20 to 25 minutes. Cool and store in air tight container. 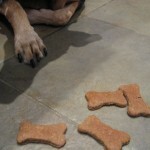 Do you have a recipe for a healthy dog treat you can share. Please share in our comments. When Pipper told Sophie all about her trip on the New York City Metro’s #6 subway to Katz’s Deli and her experience in New York, Sophie thought of two of her favorite books that take place in the Big Apple. The first book is From the Mixed Up Files of Mrs. Basil E. Frankweiler by E.L. Konigsburg, which takes place in the Metropolitan Museum of Art. Sophie said her book group at the library raved about it and made it one of their official book selections. This book gets 5 stars from Sophie! Here’s what Amazon says about it. … When suburban Claudia Kincaid decides to run away, she knows she doesn’t just want to run from somewhere she wants to run to somewhere—to a place that is comfortable, beautiful, and preferably elegant. She chooses the Metropolitan Museum of Art in New York City. She invites her younger brother Jamie along (he’s got the cash). Once settled into the museum, Claudia and Jamie find themselves caught up in the mystery of an angel statue that the museum purchased at an auction for a bargain price of $250. The statue is possibly an early work of the Renaissance master Michelangelo, and therefore worth millions. Is it? Or isn’t it? Claudia is determined to find out. This quest leads Claudia to Mrs. Basil E. Frankweiler, the remarkable old woman who sold the statue. Do you have any books to recommend about The Metropolitan Museum or about particular works of art? Please share in our comments. Pipper is the food adventure expert. She’s always looking out for food festivals and fun food experiences. Here’s one in South Carolina. Have you ever heard of a watermelon seed spitting contest? Well, every July at the Pageland Watermelon Festival they have one. Pageland is known as the Watermelon Capital of the World. Thousands of visitors come from all over the southeast to enjoy the parade, food and fun. Imagine eating as many melons as you can in 90 seconds, with your hands behind your back. There’s lots more events at the 2012 Pageland Watermelon Festival. Check it out! Come back soon for a new food adventure. Do you have a food festival to share? Tell us about it in the comments! I wish Pipper were here to help me decide what to cook!